Rail Gadi: Indian Locomotives on stamps! When we were young all of us were ever so excited to watch the train storm past us. Running at a lightning speed, trains have always captured our imaginations as it goes by making a peculiar noise bound towards an unknown far away destination. Did you know that India is the fourth largest railway network in the world comprising of 119,630 kilometers of total track with over 7,216 stations! 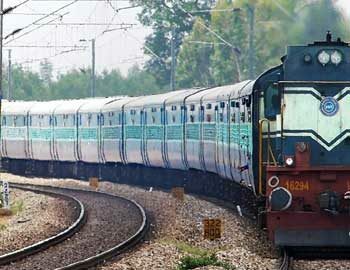 Indian Railways also happens to be the world’s eighth-largest employer by number of employees (1.4 million).